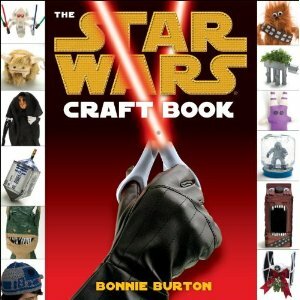 Bonnie Burton may have just cemented her place in the Zeigler Hall of Fame for her latest contribution to all things Wookie, The Star Wars Craft Book. Are you kidding me? Just when I thought we couldn’t possible devote any more time to General Grievous, Count Dooku and Jabba the Hutt, here comes an entire book of crafty items you and your children can make as an homage to your love of Lucas. Chewbacca Sock Puppets to cuddle! Ewok Fleece Hats to keep your ears warm! Wookiee Bird Houses for your backyard! And, my personal favorite, Hanukkah “Droidels” for the holiday season! Even if your kids aren’t exactly the most crafty kids on the block, the sheer humor behind each and every one of these crafts will keep you laughing all the way to Michael’s craft store. Not only is this book perfect for any child with a penchant for Plo Koon, but it’s the most fabulous gift ever for those hidden adult Star Wars fans who just might come out of the woodwork for the prospect of an R2-D2 crocheted beanie.